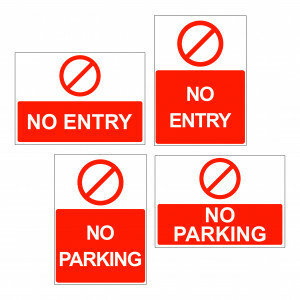 As well as standard safety signs we have the ability to offer custom signage with your own wording. Maximum number of characters is 20. We will position the text according to the size of the sign chosen unless specified when ordering. Proofs will only be sent if requested. Signs can not be altered once the order has been processed. Text comes in standard red but other colours may be available upon request. Foamex: Lightweight, rigid, easy to drill, suitable for indoor and outdoor use. PVC: solid plastic 3mm thick, rigid, suitable for long term indoor and outdoor use.